People generally don’t put much thought into their auto insurance coverage. At the very least, there’s often a state minimum requirement, and beyond choosing the deductible most of the definitions on the auto policy just get glanced over.But understanding what these specific items cover, the limits, and amount it adds to your premium can have a significant impact on how much you pay for your policy. Even if you’re required to have a minimum or all of the types of coverage listed below and you can’t really make any changes, it’s always a good idea to know what’s in the fine print. Plus, once you know what you’re actually insured for you may actually identify areas where you’re under insured. After all, you obviously don’t want to carry more coverage than you need, but you also don’t want to be exposed in the event of an accident. Not having the right coverage could have serious consequences. 1. Property Damage (PD) Liability – This mandatory (in almost all states) coverage pays for the damage caused to another vehicle in the event of an accident in which you are legally responsible. Given the high price of many vehicles and the unknown damage you could have on public property it is a good idea to have adequate coverage here. 2. Bodily Injury (BD) Liability – This coverage is very important and covers payment for damages due to injury or death in an incident that you are legally responsible. 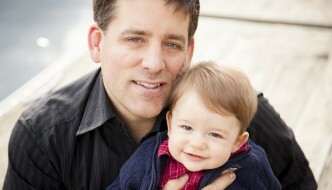 While this covers medical expenses it can also be used to pay your legal defense costs. We all know how expensive medical care and legal representation can be so again, this coverage is very important. 3. Medical Payment – This coverage is used to pay medical expenses incurred by you and your passengers during an accident regardless as to whether or not you are at fault. This coverage is optional in most states with a no-fault law because the no-fault coverage will pay for these expenses as well as often covering things such as lost wages tied to the accident. 4. Uninsured Motorist (UM) Coverage – There is one thing you can’t control while on the road and that is whether or not other drivers are insured. While it is a legal requirement in most states to have auto insurance, there are many on the roads who drive without. This coverage protects you and your passengers in the event you are involved in an accident with an uninsured driver. Typically it covers medical expenses, but some states extend this to vehicle damage as well. 5. Collision Coverage – This coverage is subject to a deductible and covers damages caused to your own vehicle in a collision. Like homeowners insurance, this coverage is generally required if you have a loan on the vehicle. When looking at collision coverage keep in mind the actual value of the vehicle that is being insured. 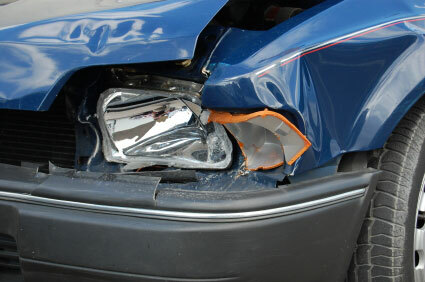 Older used vehicles may have little or no use for collision coverage. 6. Comprehensive Coverage – In addition to collision damage, comprehensive coverage will pay for damages, subject to a deductible, from: theft, acts of nature, fire, vandalism and collisions with animals. Like collision coverage, many lenders will require comprehensive coverage on vehicles with a loan. As you can see, there’s a lot more to your auto policy than meets the eye. It isn’t as simple as paying a premium for general coverage and a specific deductible. If you look at your own policy you may also see that some of these numbers seem a bit low. For example, just $100,000 for damages due to the injury or death of somebody in an accident is virtually nothing these days when lawsuit settlements regularly top seven-figures. 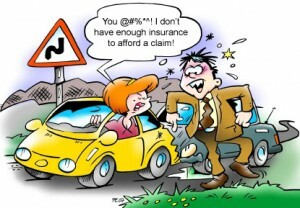 Keep this in mind when looking at your auto insurance policy and make sure you are adequately covered for liability. Given the litigious nature of our society it would be unwise to be under insured just to save a couple bucks on your premium in the event of an auto insurance claim. The collision and/or comprehensive coverage is much easier to calculate in terms of how much to purchase. Since this coverage is used for paying for damage done to your own property the amount of coverage needed is more clear and the deductible you select can be based on the value of the vehicle and how much money you have in an emergency fund to cover the deductible and/or damages. As with most types of insurance, nobody likes to pay for it. When we don’t have the need for insurance it seems like a waste of money, but just one unexpected event can be devastating to you and your family. Careful consideration should be done when choosing insurance to not only make sure you are adequately insured but not wasting money on more insurance than you need. Becoming educated with your policies can lead to making the right choices to protect yourself and your family as well as keeping as much money in your own pockets as well. Thanks for the article. Well i was not aware about some of the insurance you have mentioned. But your article really helps me in knowing them all:) In my opinion auto insurance should be done must. And once you file a claim, you are likely to be dropped or pay e en higher premiums. Hmm, wonder why that is in most cases. Insurance companies rather not pay any claims, so why does insurance companies exist in the first place? People who want to make a lot of money for a product they don't really want to be used. There are many legal litigations going on every month, where money is wasted only because the insurance company doesn't want to pay what the other is insured for. Perhaps someday this will all change. This is one industry that does need to be regulated by the government. I disagree with being underinsured thou shall not be ale to sue for more than what is insured solves all problems when everyone is on the minimum/only available requirements.